Frontend developers in today’s date have a variety of tools to choose from. While every tool has its own preferences every framework too has its own strengths. Based on the kind of purposes and targets one needs to know the correct choice of framework as well and while experienced developers have developed an expertise in one particular framework, the features and advancements of other emerging frameworks might get left behind. Which is why it is important for developers to make a test of all different JS frameworks in order to get the most optimum solutions in a world of diverse choices. 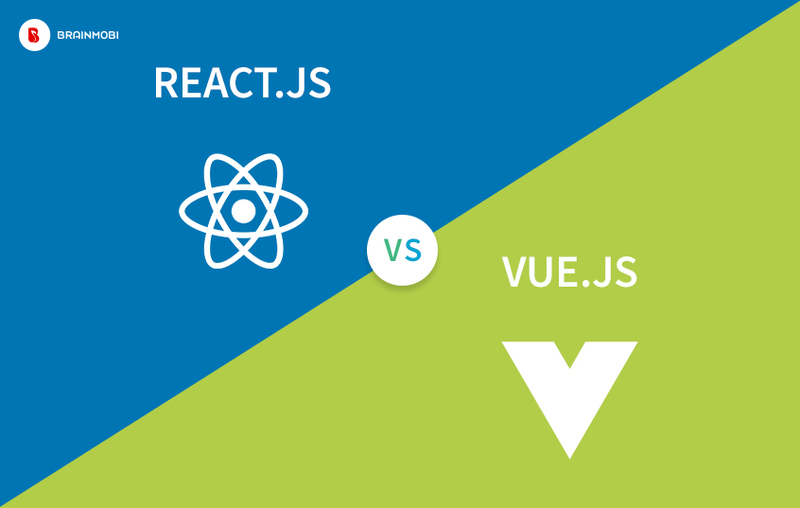 Along with Node.JS, React.JS and Vue.JS are the other two popular frameworks that have been highly valuable amongst developers. As one of the top react.js application development company, we have made extensive use of both frameworks and give you an extensive comparison that shall help you pick better. That’s for the basic similarities. Vue.JS being a newer framework certainly has some upper hand advantages over React.JS but this never means that it is a better framework. There are plenty of differences that bring out their advantages in their own separate ways. As for React.JS many developers attribute it for its ample supporting infrastructure and visualization tools. At the same time it is being reputed for being simple and faster to use. Vue lets you upload an application straight from the browser without requiring a need for transpilation. This further lets the Vue library to be added without any problems to the entire project. In context of value processing Vue has a rather comparitivery simpler design compared to React. Vue also lets you change values easily by automatically making relevant changes in the DOM whenever a value is changed. React makes a clear analysis of both the previous and current actions and for this reason cannot alter values of the dom directly. The disadvantage of this feature is that you cannot alter the DOM values directly but direct alteration of the DOM is a practice made only when you create a simpler and progressive application. As such any developer needs to make the choice keeping in mind the mission of the project. Adding attributes to HTML layout is a compulsory action in Vue. It is a similar process to the way witnessed in the angularjs method of data binding. Vue.JS template thereby gives the advantage of creating faster and simpler applications. In terms of design and architecture Vue.Js offers a relatively affordable switching period from any other framework because of certain factors of similarity between angular.Js and react.Js . At the same time it can be used to building single page applications or even more complex interfaces for any mobile application. This due to its feature that lets smaller interactive parts to be easily integrated into the coding infrastructure. Both frameworks almost share the same mechanisms when working with DOM. A virtual DOM is created and synced to the real DOM. Any change of value in the virtual DOM is automatically made in the real DOM. While this process can be optimized better, Vue still works faster as judged from its small library size (25.6 kb). React on the other hand stands twice as large measuring upto 37kb of the dom, but still fits the advantage of a wider range of API options making it a better fit for larger and more complex applications. React.JS adjusts better and exhibits more flexibility in the domain of larger applications. While Vues method of using templates might be making your process simpler and faster, it is relevant only in the case of smaller applications. In the field of more larger applications such methods of templates makes restructuring complicated and close to impossible in many cases. The diverse API libraries in React and its corresponding code with templates is reusable and helps you create more restructurable models in the future. Judging from the statistics React is obviously a clear winner in terms of popularity when compared to Vue.JS, but what can be inferred is that applications that demand Vue.JS are yet to catch the lift in terms of production. So it definitely has a super rich open source feature which is capable of reaching standards of facebook developers (as they themselves were the developers). It is a highly discussed topic on several internet support and you shall never be devoid of any support in terms of technical problems. When it comes to developing Both Web and Mobile Applications Separately and Simultaneously.React comes with an inbuilt React Native library which comes handy when developing mobile applications in JS. 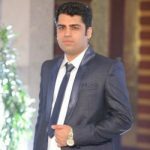 In terms of adaptability, fairly experienced react native users can get quickly accustomed to the methods of React JS. As one of the top Vue.JS application developers, we at BrainMobi have a very clear understanding of which framework shall show its best for which project. Whether it is complimentary small web applications or more larger projects our experienced set of developers can exhibit their best for both Vue.JS as well as React.JS. If you have the idea for a mobile application which runs parallel to our expertise kindly write to us at sales@brainmobi.com .